What better way to express your love for your EOS camera than with this Limited Edition 'I love my EOS' cotton tote bag – a must for any Canonite. 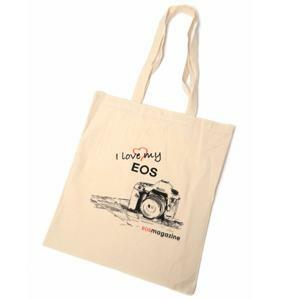 Made from 5oz 100% woven cotton these 'I love my EOS' tote bags from EOS magazine are reliable as well as useful. And, of course, they're environmentally friendly. This limited edition design is exclusive to EOS magazine and only available for a limited period.